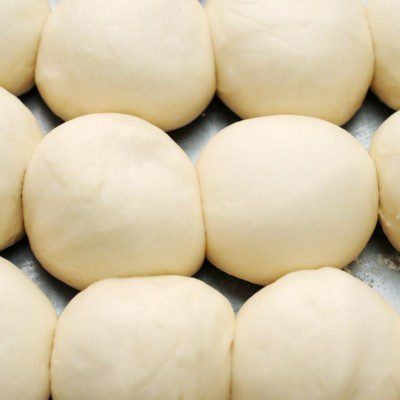 A dough pump is ideal for high-speed production of buns with uniform density. What is a dough pump? A dough pump is a type of dough conveying equipment widely used in large-scale production bakeries. The first step in the make-up stage, it serves as a transport or transfer mechanism for large or bulk amounts of dough and connects mixers to dividers. A dough pump by nature allows for a continuous operation to be run, receiving a product and delivering it into the next stage in the production process. How does a dough pump work? A dough pump is designed to connect the mixing stage and the make-up stage. It has a regulator or metering mechanism for dough flow control. A pair of augers or twin-screws gradually move and deliver the dough through a stainless steel pipe towards an outlet at the base of the divider’s hopper. Then, the dough pump continuously delivers the dough according to the processing rate of the make-up stage. This is a critical adjustment to match the capacity of downstream equipment, and avoid unbalanced flows inside the line. The action of the augers in the dough pump homogenize and degasses the dough during transport, which results in a tighter crumb. Attention should be paid if such effects require compensation with longer proofing times. Either being an enclosed system or open equipment, dough pumps should allow for maintenance, inspection, cleaning and sanitation activities to be performed easily, adequately and quickly to reduce downtime. A dough pump should be properly designed, constructed and installed so as to preserve food safety. This is important since dough pickups on product-contact surface could cause cross-contamination if various types of bakery products (allergenic or gluten-free) are processed in the same line (shared line). Maintenance and lubrication of drive parts are essential to guarantee a smooth operation of the equipment. Hygienic aspects such as the possibility to clean the equipment without dismantling, i.e., CIP, should be considered when buying dough pumps. CIP cycles should be properly designed and run for a complete flushing of residual dough. O’Donnell, K. “Equipment.” Bakery Production Handbook, Xlibris Publishing, 2016, pp. 242–290.